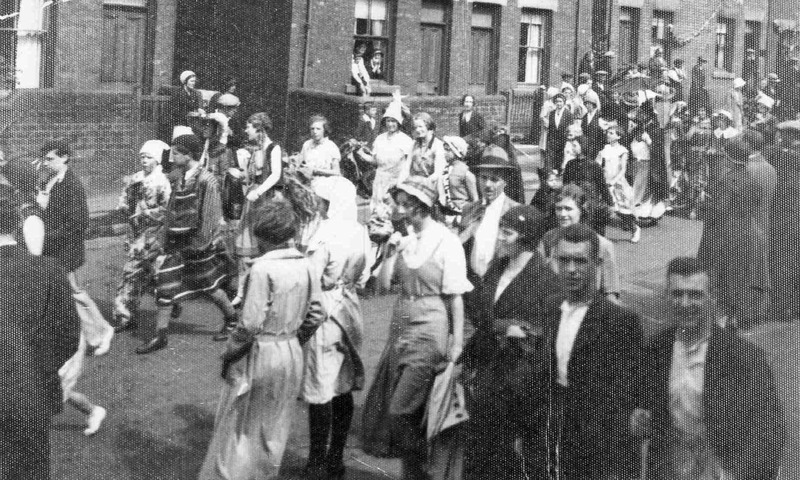 Killamarsh Hospital parade in Bridge Street 1930s. In centre with hat and short sleeves Betty Silver, Nellie Walker and Mrs and Mrs Dumbleton behind. Photo courtesy of V. Hopkinson.